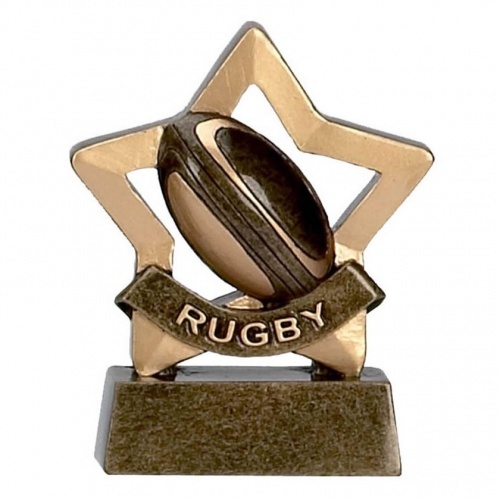 These palm-sized rugby trophies are made in resin with a gold and bronze colour finish. They feature a star shaped frame enclosing a rugby ball and banner motif with the legend 'rugby'. The stars are mounted on a bevelled base and these 3.25in (8cm) tall awards can be personalised via an engraving plate attached to the base.